TAMPA, Fla. -- He’s the most interesting man in the world. He’s a futurist, physicist and television personality. 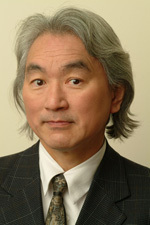 He’s Michio Kaku, Ph.D., and he will be speaking near the University of South Florida at 6:30 p.m. on Sept. 26. The event, which is part of the Frontier Forum lecture series, will be held at the MOSI Auditorium. The event is free and open to the public; however, seating is limited and available first-come, first-serve. Doors will open at 5:30 p.m. A book signing will follow the event. Kaku’s latest book, “Physics of the Future,” gives readers a stunning vision of what our world could look like in 2100. He estimates that people will control computers via tiny brain sensors and be able to move objects around with the power of their minds. Enter to win a copy of his book. Kaku is one of the most widely recognized scientists in the world today. The New York Times Best Selling Author graduated from Harvard University in 1968 and received his Ph.D. in physics from the University of California Berkley in 1972. Currently, Kaku is attempting to complete Einstein’s unified field theory. The Frontier Forum is presented by the USF Phi Beta Kappa Alumni Faculty and sponsored by the USF Office of the Provost, USF College of Arts and Sciences and Tampa Mayor Bob Buckhorn.